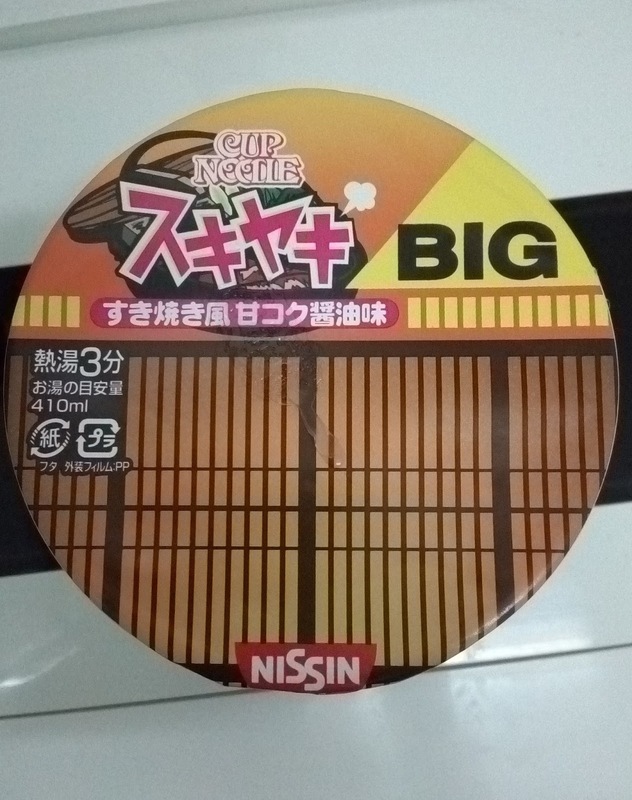 I noticed these cup noodles because of the picture of the egg with a runny yolk. 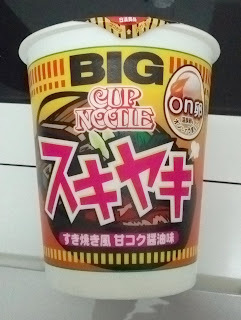 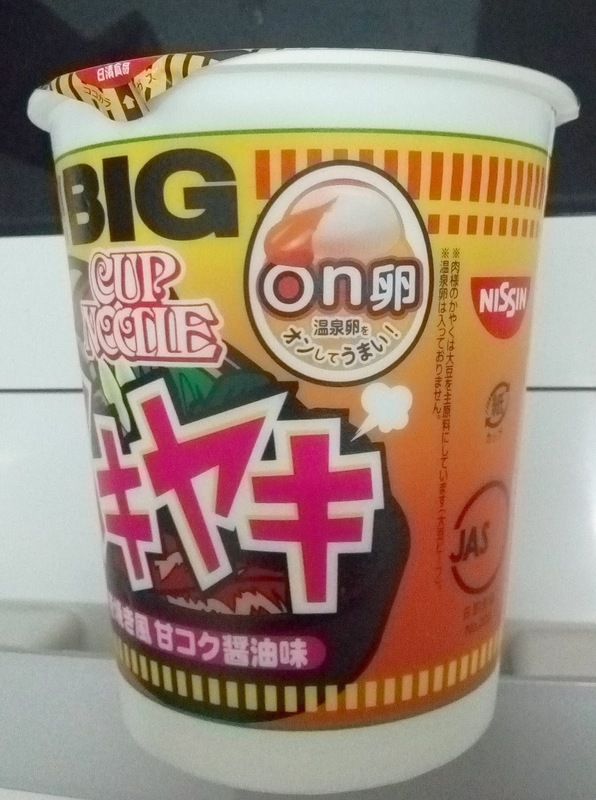 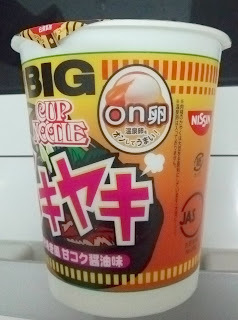 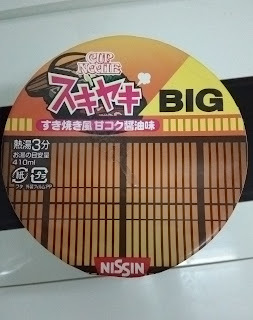 It turns out these cup noodles are sukiyaki flavoured so I am guess adding an onsen egg would make it taste better. 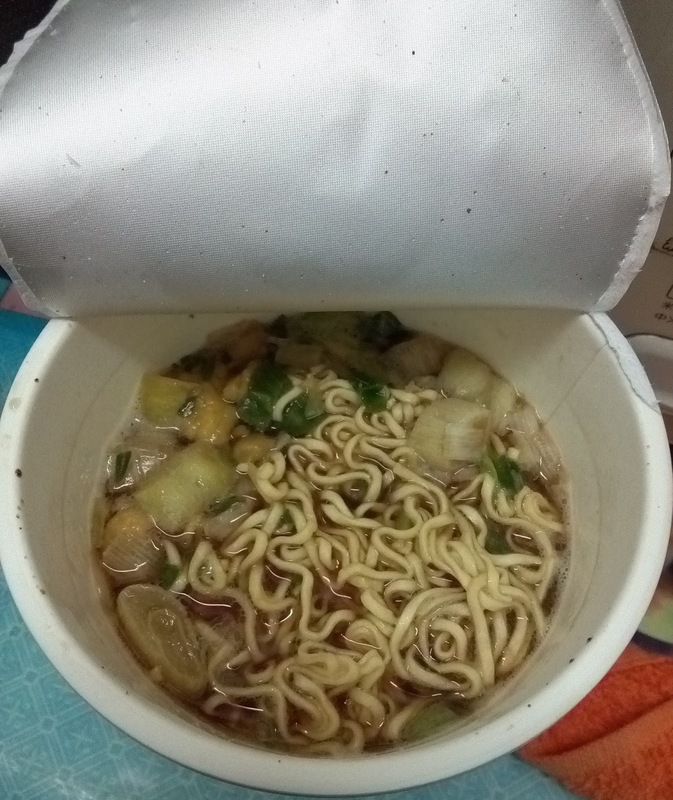 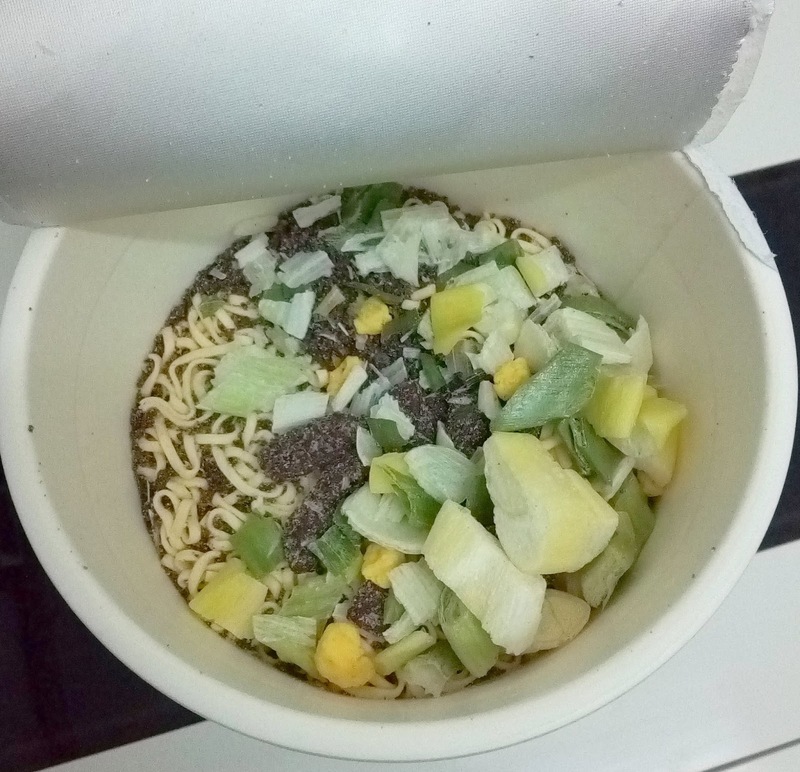 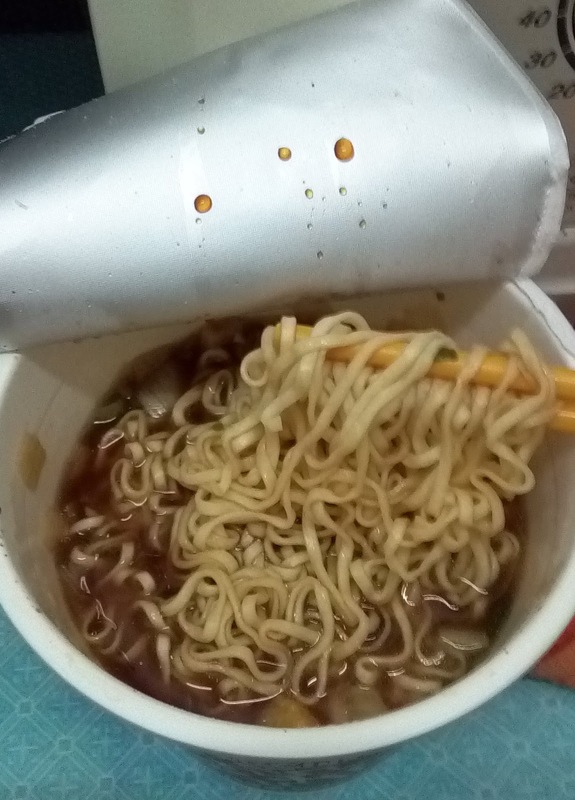 When I peeled the lid back, I was amazed to see lots of huge spring onions pieces and bits of beef that looked very dark in colour compared to other Nissin Cup noodles. 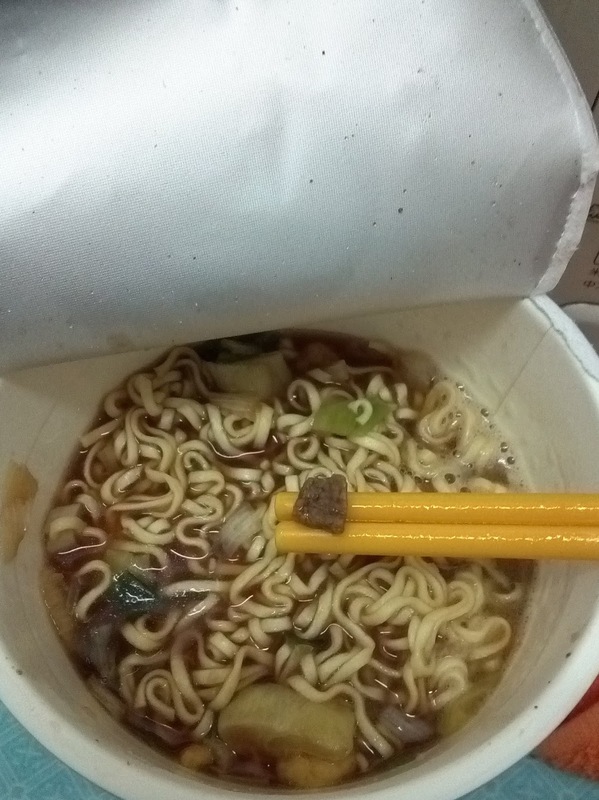 There was a lovely beef and onion smell when I poured hot water in it and evidently the broth was dark. 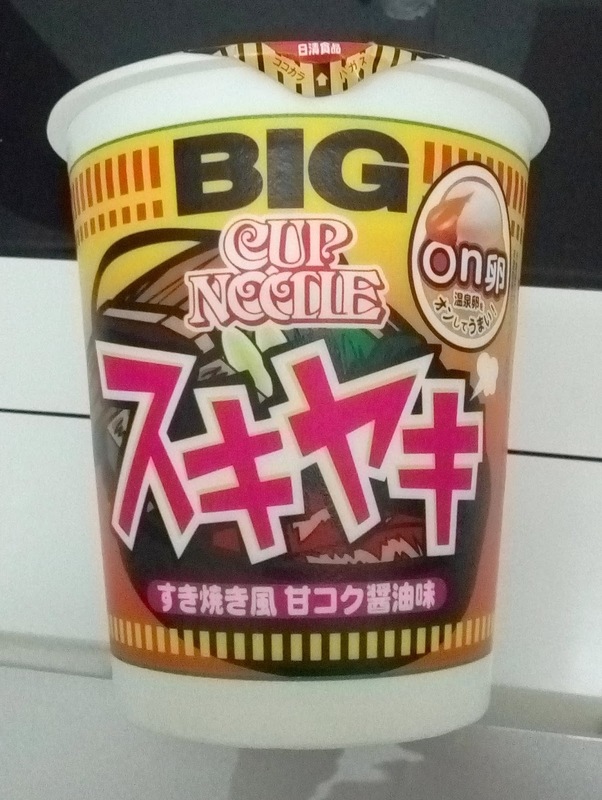 The Sukiyaki flavour in cup noodle form was definitely delicious as it was like noodles in a strong beef and onion broth. The sachet gives it a more beefy flavour if you squeeze the lard in.